If you haven't seen this post already some beautiful old posters and photos here. If shared already I apologize! Yeah. Much different now, isn't it? Same here, and as an ex-BA employee too. I remember the BOAC jingle form the late 60's, "BOAC takes good care of you". Heard this as a kid living in the west end of Toronto. Still can't find it these days. When I lived in Tehran back in the very early sixties, we kids called BOAC "Better On A Camel" and TWA as "Try Walking Awhile", as we much preferred Pan American (PAA) which is how nearly all of us flew into Mehrabad Airport. Another UK airline I miss is British Caledonian. 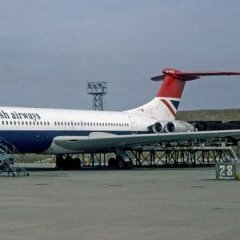 My one and only flight on a BAC-111 was between Gatwick and Amsterdam in 1984 at a cruising altitude of only 23,000 feet. 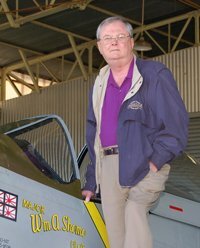 It was a thrill to fly what was by then a classic aircraft on its way out of common use.